NEW YORK — Margot Stevenson, a stage actress for more than six decades who appeared on Broadway in Kaufman and Hart’s “You Can’t Take It With You’’ in the 1930s and opposite Orson Welles in the radio series “The Shadow,’’ died Sunday at her home in Manhattan. She was 98. The death was confirmed by her daughter, Margot Avery. Ms. Stevenson was, in the archaic phrase, a lady of the theater. The daughter of an actor and the mother of an actress, she appeared in a handful of movies and television shows (including a Hallmark Hall of Fame production of “Macbeth’’ in which she played Lady Macduff), but most of her career was spent on the stage. A prolific performer in regional theater and in summer stock, she spent time in the 1950s in London in the West End production of “The Seven Year Itch,’’ as the wife of the wayward romantic. 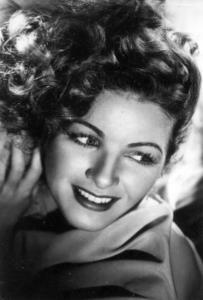 From the 1930s though the ‘60s she appeared in more than a dozen Broadway shows. They included a 1935 revival of “The Barretts of Wimpole Street,’’ the Rudolf Besier play about the poets Elizabeth Barrett and Robert Browning, with Katharine Cornell; Robert E. Sherwood’s World War II drama “The Rugged Path,’’ directed by Garson Kanin and starring Spencer Tracy, in 1945; Ruth Gordon’s valentine to the theater, “The Leading Lady,’’ with John Carradine, Ossie Davis, Mildred Dunnock, and Gordon, directed by Kanin, in 1948; and “Triple Play,’’ an evening of one-acts by Chekhov, Sean O’Casey, and Tennessee Williams with a cast that included Hume Cronyn and Jessica Tandy, in 1959. Margaret Helen Stevenson was born in Manhattan. She went to Hollywood briefly in the 1930s and appeared in a handful of B movies, including “Smashing the Money Ring,’’ with Ronald Reagan. By then blind from macular degeneration, Ms. Stevenson played Teiresias, the sightless seer, in the Euripides play.